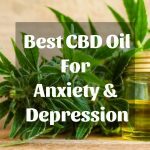 I’ve made things easier for you, because here you will find the 10 best nutrients for cannabis along with an excellent buying guide which will let you know how to pick the right one. You really want to make your marijuana grow faster and healthier. Hence, just keep reading this and find the perfect nutrients for it. 2.2 What Nutrients Should You Buy? 2.3 It Goes Beyond Nutrients: Check Your Water! 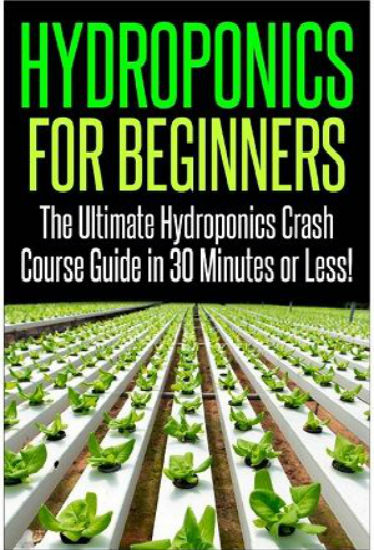 If you are a total beginner, then you should read the buying guide first, so you can understand how to buy nutrients the right way and understand many things about them. Yet, if you are already well-seasoned, just continue reading. If you are looking for a premium-quality solution, then Humboldts Secret Golden Tree is everything you need. Because it can be used in the vegetative stage to make your weed develop super-strong roots, great resistance to disease and excellent color. It can also be used in the flowering stage, because it will increase the number of flowers, make them form well and make your weed super-healthy and make the buds super tasty and with great aroma. Moreover, it will increase the yield by 20% and make the vegetative stage 50% shorter. It’s growth on steroids! Vegetative: Add 2ml per gallon to your reservoir. Flowering: Add 5ml per gallon to your reservoir. If you want the best results for your weed, then I recommend you to choose this product. Even though Humboldts Secret Golden Tree is my favorite option, the SUPERthrive solution is another great choice. Here is a warning: Just use ONE DROP per gallon. There are so people who recommend 1 tablespoon or similar dosages, but that would be instant death for your plant. 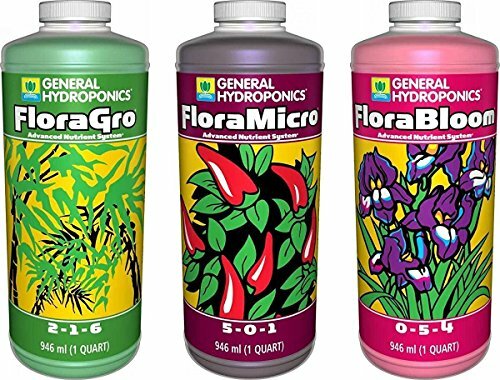 This recommendation is for hydroponics, but if you planning to use it on soil, you should mix it with your transplant water at 1 tablespoon per gallon of water. This amazing nutrients bottle will make your weed grow beautiful, healthy and tasty. It will help it to form beautiful, voluminous and tasty buds. It contains 53 ingredients that are soluble and can be absorbed by your weed without problems. This will give it massive growth and a top-notch development. The Voodoo Juice Fertilizer by Advanced Nutrients is another great option to give your weed the boost it needs to grow tasty, healthy and do it pretty fast. One of the most remarkable things about this nutrients solution is that it has been developed by world-class microbiologists. Their top-notch team even includes someone with THREE PH.D. degrees! 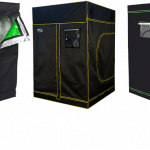 It uses an exclusive yet very powerful blend of 8 different microbial super stains which make the roots of your weed grow faster and stronger. That’s why it’s an amazing choice for the vegetative stage. During the flowering stage it will make your marijuana improve its yield and bring you better results. Needless to say, the buds will be tasty and acquire an amazing aroma. Moreover, it’s an excellent choice for transplantation if you ever need to do it. And here we have another excellent product that will boost the growth and development of your weed like never before. Pros: Amazing during flowering, excellent for vegetative stage, improves general health and development of weed. 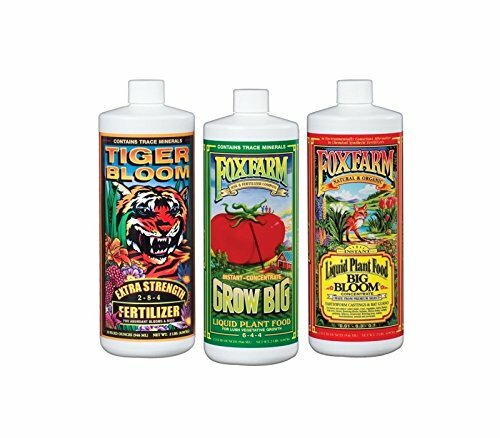 This pack of three different nutrients bottles is everything you need to grow your weed like never before. As you can see this pack is everything you need, as it includes all the nutrients you need for each stage along with a solution for cycling. 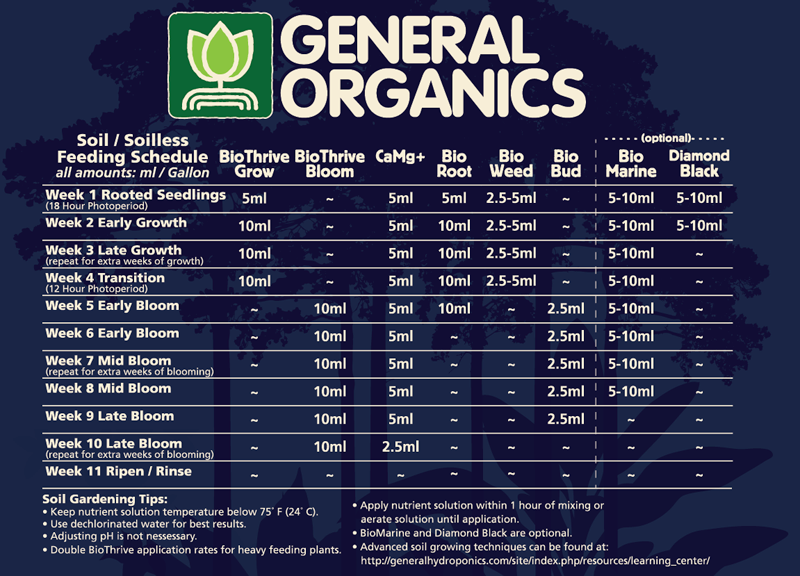 If you are all for growing things the “natural” way and in soil, then you should check out this top-of-the-line product by General Organics. If you are looking for all-in-one solution, then all you need to do is to get this Organic Go Box by General Organics. 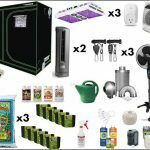 This kit includes pretty much everything you need to grow pot in soil without problems. It will be amazing during veg stage, as it will promote optimal root growth and development. And during flowering stage, it will make the buds achieve their maximum potential. This fertilizer is an amazing choice, because it works wonders for your weed especially during veg stage, as it will make it grow strong and solid roots, make its stem to grow strong, make it disease resistant, and help it to acquire a beautiful colors and many other benefits. 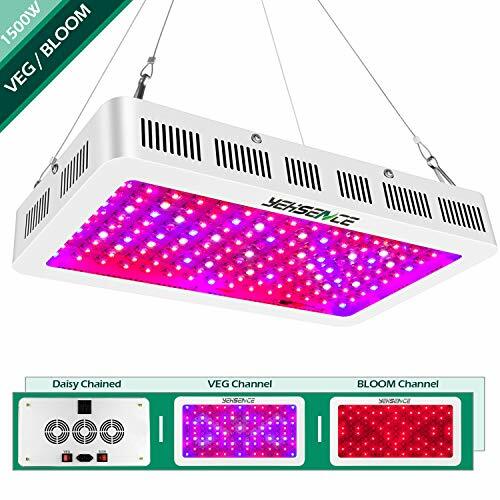 Moreover, it’s an excellent choice if you are using a hydroponics system. The unique downside I’d like to note is that you will have to check the water PH regularly because it tends to vary faster than with other nutrients concentrates. 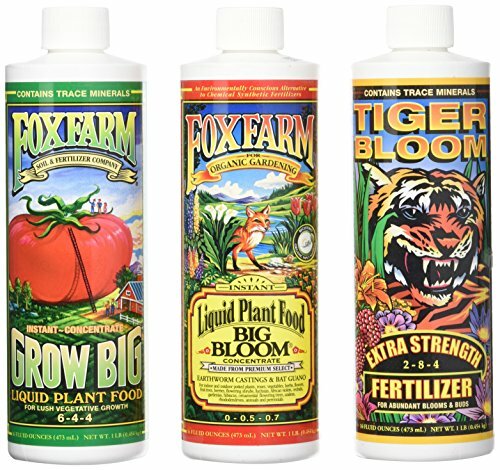 If you were impressed with the incredible value of the Fox Farm FX14049 Liquid Nutrient Trio Soil Formula, then you will love this product by General Hydroponics, because as you can easily guess, it’s especially designed for growers who grow weed with a hydroponics system. Once you get it right, your cannabis will LOVE it. It’s probably one of the best foods you can get for it during all the grow cycles. It improves the smell, taste and general health of your plants. It’s also highly soluble, which allows your weed to maximize nutrient uptake. Moreover, it will bring you abundant and superior yields. If you want your weed to grow fast and well, then you need to give it the right nutrients. And this product by Advanced Nutrients allows you to bring it the right ratios at the right time. A pretty interesting feature that is worth remarking is that it contains advanced carrier molecules that ensure a top-notch nutrient uptake. Because without absorption, the nutrients and your money will be wasted. Moreover, your plant would suffer of several deficiencies. The unique thing I don’t like is that it doesn’t keep PH balanced as it claims. It doesn’t alter it much, either. If you are a real marijuana grower, then you must feel passion for growing tasty and big buds. Well, this product by Advanced Nutrients is everything you need to achieve exactly that. 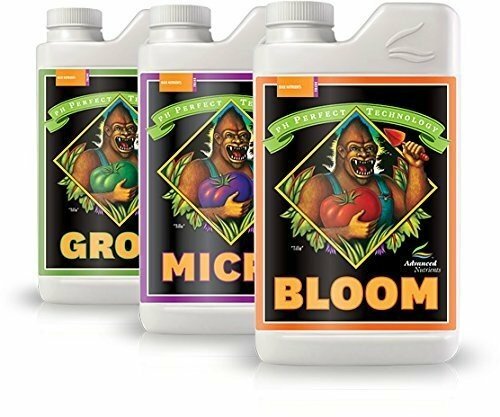 If you are looking to give you weed a huge boost during the flowering stage, then the Big Bud Liquid Fertilizer is what you need to get. Just take into account that it’s best used during flowering AND as an additive. It’s incredible, but it cannot be the unique food for your weed. If you are looking for a way to take your buds to the next level in aroma and tasty, then all you need is the Bud Candy Fertilizer by Advanced Nutrients. It contains a world-class formula that will make the buds of your weed to grow stronger in flavor and smell. If that’s what you want, then this is perfect for you. For real, if you are looking for a solution to make your buds grow better, sweeter and tastier, then look no further than this product. It will make them acquire an amazing aroma and flavor, just like a cotton-candy. However, it’s better used as an additive. Moreover, it’s not advisable to use it during veg stage, as it won’t help your plant much during this time, where the most important thing is to grow super-strong and resistant roots. Everybody knows the importance of nutrients for growing weed. 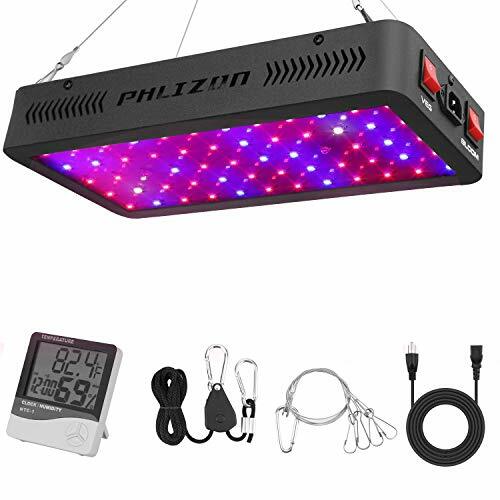 A good hydroponics system, a great grow light and the right nutrients are everything you need. You need to use the right ratios at the stage your weed is at, and here you have two sections that will make things easier for you. Nitrogen is the most important element for your weed. Because this will encourage growth and make it much faster. If you want your weed to grow beautiful and very green, then you must use high levels of nitrogen. Phosphorous is another element your weed needs. It’s important to medium levels of this macro-element at this stage, because it will make your weed resistant to disease, make its roots strong and healthy, improves nutrient absorption and makes the stem very strong. Although you don’t need high levels of potassium, it’s still critical for the development of your plant. This element is important because it makes the tissues of your plant stronger, it makes the roots strong, it makes the buds more voluminous and heavier, is critical in the synthesis of amino acids and proteins and many other functions. These ratios work quite well because in this stage your cannabis needs more nitrogen, so it can grow strong and healthy roots, along with other many benefits like developing a great green color, excellent leaves, etc. Nitrogen is awesome in the vegetative stage, but once your weed starts flowering, it’s better to keep it low. If you keep it too high, then your plant will have a hard time forming proper buds. Moreover, it will bring you a deficiency yield and the leaves will turn ugly. That’s why you must keep it low. Phosphorus is essential. During this stage it will help your cannabis to have a real bloom. It will increase the number of flowers, it will help the flowers to form better and look beautiful and moreover help with the general health of your plant. Potassium is amazing in this stage. It’s important to make sure you are providing your plant high levels of this macro-element, so it can develop plenty of terpenes (for the aroma), make it tastier, help the buds form correctly and grow faster, make the leaves look awesome and keep your plant in optimal health. Now you should have a clear idea on why these ratios are excellent at the flowering stage. What Nutrients Should You Buy? At this point this question should be easy to answer: Choose a nutrients bottle that contains exactly what your cannabis needs at the moment. If it’s in the vegetative stage, then you should get something high in nitrogen, medium in phosphorus and medium-low in potassium. If it’s in the flowering stage, then you should buy something high in potassium, medium in phosphorus and low in potassium. Yet there’s something we need to talk about: Organic or chemical nutrients? It’s very similar to the debate of GMO and “industrial” vegetables vs. organic vegetables. Yet there are key differences when we talk about nutrients for weed. In this case each one of them have their own advantages. Let’s review each one so you can understand how each kind of nutrient can help your weed. The biggest advantage offered by chemical nutrients is that they provide your weed a faster growth. 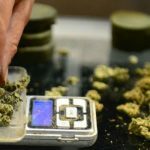 If you want to get your marijuana as soon as possible, then this is the way to go. 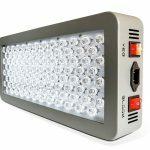 Do you have a hydroponics system? Then chemical nutrients are what you need. They will keep things clean and straight to the point. It’s also known that they increase potency. This, along with faster growth, make chemical nutrients a pretty good choice for many growers. It all depends on the grow medium and your own objectives. The natural way. 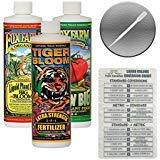 If you are all for growing things the natural and ecologic way, then for sure you should go with organic nutrients, especially if you are growing your weed in soil. Want better taste and smell? If you want to bring your weed buds an excellent aroma and taste, then organic nutrients are the way to go. Chemical can do the same as well, but it’s well-known that organic can bring you a better result in this sense. Best suited for soil. 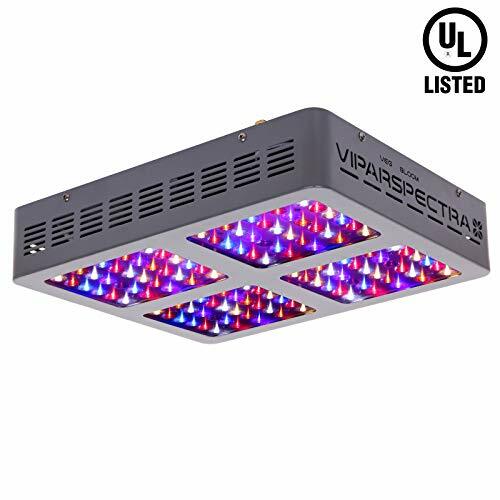 Using this in your hydroponics system is never a good idea, because it can grow unwanted plants in your water reservoir, and this can cause multiple problems like clogging. Moreover, it can also interfere with optimal nutrient uptake. It’s really as easy as that, but there are some extra things you should take into account if you want your weed to grow healthy, strong, full of flavor and aroma and fast. It Goes Beyond Nutrients: Check Your Water! Growing cannabis can be a challenge, because your plant may suffer of certain deficiencies if you are careful enough. 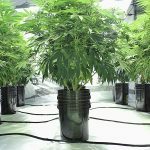 Many growers face this situation: They give their plants the right ratios of macro-nutrients, yet they are experiencing certain problems, or more precisely, deficiencies. How is that even possible? Just two words: Water PH. I will make it simple for you: If the PH of the water is not right, then your weed won’t be able to absorb the nutrients you are supplying it with. As you can see, if you are using a hydroponics system to grow your marijuana, then you should opt for a more-alkaline value. Whereas with soil, the value needs to be a little bit acidic. These values, respectively for each type of grow medium, make the nutrients available for your plant to absorb them. Therefore, make sure you have a good PH tester at hand, so you can check if the values are spot on. This will prevent deficiencies and make your weed grow strong, tasty and with great aroma. Am I going to grow my weed in soil o water? What nutrient ratios do I need? As simple as that. These two questions are more than enough, yet, you also need to make sure the brand you are buying is actually good, and that’s why you need to use the top 10 choices I recommend to you here, because they are proven to work. The ingredients also have an incredible importance. But worry not, because each one of the picks I’ve listed here have the best ingredients, which will maximize the nutrient uptake, and hence, make your weed grow strong, tasty and healthy. has anyone every tried trz nutrients from the root zone in canada? Dave White,Can you share your experience of trz nutrients?